Cybergovernance and Cyberwarfare: In Whose Interests? Cybergovernance and cyberwarfare are nothing more than flawed concepts attempting to imitate real world processes, invoked by governments, on behalf of the Corporatocracy, to control people, resources, and economies world-wide through cyberspace. Think tanks like the Council on Foreign Relations aim to analyze current situations with a goal to justify and rationalize those acts and establish best practices for accomplishing those specific aims, also on behalf of the Corporatocracy. When the Internet was originally created by DARPA (ARPANet), one of it’s purposes was to provide a means of communication that could not be destroyed by ‘enemies of the state’. Of course, the key here is how one interprets what the state is and who it’s enemies are. According to the US Constitution, the state is, ‘We, the People’ and the constitution governs and regulates the behavior of those the people entrust to govern them. So, it recognizes the potential for internal enemies to use or become the government. While violations of the Constitution are not legally considered sedition in the US, they should be because sedition is a crime against the government which is required by the Constitution to represent the people. The ‘powers that be’ currently, do not define the state in these terms. According to them, the state is the government and the government represents the segments of corporatocracy that lines the pockets of the representatives elected by the people at any given point in time. So, the purpose of the large ‘think tanks’, like the Council on Foreign Relations, that are funded to the tune of billions of dollars world-wide by the Corporacrats, is to coordinate projects which come up with proposals and rationales that will help tighten the grip of the corporatocracy on governance and other social, economic, political, and technological structures in order enable them to maximize their profits through influencing and thereby controlling those structures. The Council on Foreign Relations, is a US-based think tank which collaborates with think tanks in countries around the world, to document, analyze, and present recommendations on various global projects. The Council of Councils’ Reports are just one of the projects implemented and backed by the Council on Foreign Relations. In recent years there has been a concerted move by governments influenced by the Corporatocracy to establish various types of controls over the Internet. However, the very nature of the Internet and it’s core, fundamental structure, as well the freedom experienced by Internet users (many of whom are reluctant to give up the freedoms they are experiencing) has created stop gaps to that process. There are always ways and means to bypass the attempts to create controls which are unacceptable to those Internet users. The most recent developments in the process have been the creation of flawed concepts like ‘cybergovernance’ and ‘cyberwarfare’. The Council of Councils’ reflect this trend in the section of their 2015 Report Card on International Cooperation, which grades ‘Managing Cybergovernance‘. The entire segment is based on the fundamentally flawed concept that governments are in a position to control access, content, and uses of the Internet. “Two competing visions of cyber governance have traditionally pitted a group of countries led by the United States—which supports a multistakeholder model including governments, businesses, civil society, and technical experts—against countries (including China and Russia) that champion sovereign control (though a number of countries remain in the middle). Negotiations heated up in 2014 as world leaders devoted unprecedented attention to cyber governance in the wake of the revelations of spying by the U.S. National Security Agency (NSA). As stated before, the reality is that the Internet is designed from it’s core to survive and remain functional irrespective of any restrictions placed on it. The technology itself considers restrictions an attack and there are numerous ways to bypass them. It is, by it’s very nature an open, free and egalitarian structure and like all open, free, egalitarian structures can be abused. That doesn’t mean that the solution is to restrict the structure itself. 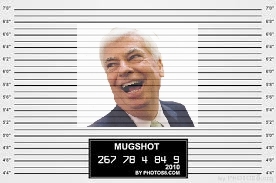 There is absolutely no reason why real world laws can’t be applied to cybercrimes. It might be a little more complicated and countries may need to improve existing real world laws to allow them to address the issue of international rings of cybercriminals. What countries do not need to do is create a bureaucracy of cybergovernance to address these issues. If it’s illegal in the real world, it’s illegal in the cyberworld. It really is that simple. The same approach can be applied to cyberwarfare which includes cyberespionage. However, reinterpreting acts of war and attempting to add corporate espionage to the definition, is simply a self-serving act by the corporatocracy to use taxpayer funds to protect and defend their interest. The fact that our politicians accept this is just an indication of how corrupt our political system has become and how much influence the corporatocracy has over real world governance. Corporate spying may have been done in real world by intelligence agencies, but it has never been part of their official mandate until recently and as part of the recent move into cyberwarfare. While the following is true, the reason that it’s true, is that our governments are actively acting in the best interests of the corporatocracy (and not the people they are supposed to be representing). Fear is created by statements like the one above to justify the acts of major powers like the US, Russia, and China, who are using their own intelligence agencies (US-NSA, Russia-FSB, China-PLA Unit 61398) to engage in ‘cyberwarfare’ which consists mostly of corporate spying on other countries like Brazil and Sweden. No doubt the acts of corporate espionage will indeed escalate to political, governmental, infrastructural cyberwar sabotage in the same way and on the same grounds that real life warfare occurs. The reality is that the problems that the ‘powers that be’ are allegedly trying to solve by incorporating cybergovernance and rules for cyberwarfare can only lead to balkanization of the Internet since the entire purpose of governance and warfare is to establish control over regions, economies, industries, etc. Balkanization, or Balkanisation, is a pejorative geopolitical term, originally used to describe the process of fragmentation or division of a region or state into smaller regions or states that are often hostile or non-cooperative with one another. As responsible Netizens, we need to protect the Internet from such balkanization and the corruption and abuses of power that it will inevitably lead to. In order to do that, we need to understand what the enemy within is doing by enforcing transparency which allows us to analyze the corruption and abuses of power, bring them into the light of day so that accountability and justice can be demanded and invoked through cyberprotests, cyberactivism, and boots on the ground action. 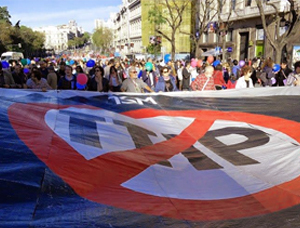 One year ago who could have foreseen that opposition to mega murky free trade agreements would see the birth of a global movement; mobilising tens of thousands of people onto the streets around the world? Well that’s what happened first on 11 October 2014 and again just now on 18 April 2015! to TPP, TTIP, CETA and their siblings. In Europe alone tens of thousands of people marched in Madrid, Munich, Paris, Vienna and many other cities. Globally 734 actions were organized and roughly 650 of them took place in Europe. Compared to the global day of action in October, the number of events increased, as did the number of participating countries. 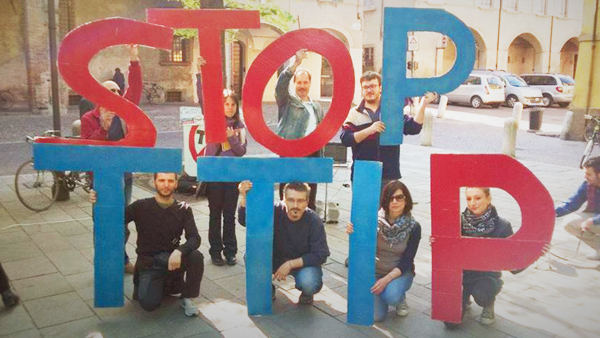 On 18 April citizens and volunteers collected thousands of signatures for the Stop TTIP ECI. 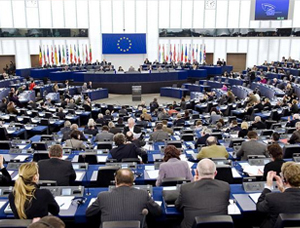 Between 8-10 June the European parliament will vote on a TTIP-resolution and it would be both; great and important if we could reach our target of two million signatures by the time of the vote. And apropos gathering momentum: thank you for supporting the Giant Pencil Tour! Your generous donations have turned the idea into reality! Two Giant Pencils are ready for action and on their way to Romania and Danemark where they will premier on 1 May! At the time of writing the pencils have been booked in several countries with more reservations on their way. We also received a great amount of invitations to take one of the Giant Pencils to your home town and at various summer events. As we plan each tour we will visit as many as possible and will report back to you via our blog-space and social media. 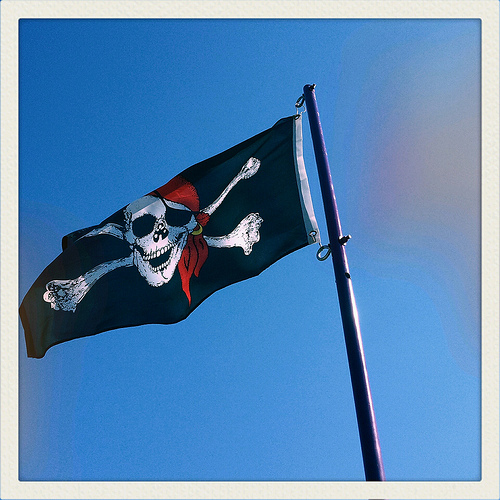 Global Day of Action… and Inspiration! On April 18th, Europe felt more united. Citizens all over Europe organized in hundreds of activities, flooded the squares of their cities to send a common and clear message to European politicians: No more trade agreements at the expenses of the environment and human rights! 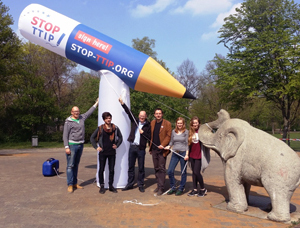 Ready, steady & go for the Giant Stop TTIP Pencil! Your support and response for the giant pencil has been incredible: it turned the idea into reality! 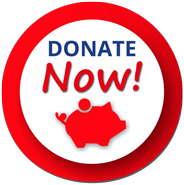 Your generous donations have come to cover 25 percent of the entire project budget; so we decided to go for it and do it! Hurrahhh here comes the giant StopTTIP Pencil! 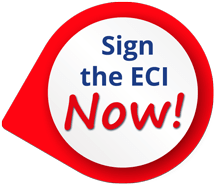 Support the self-organised European Citizens’ Initiative against TTIP and CETA!